May 23, 2018, 8:53 a.m.
Last week, the chain restaurant industry suffered yet more turbulence as TGI Friday’s staff went on strike over tipping. In February, the casual dining chain began redistributing 40% of all front-of-house service charge payments on credit and debit cards to back-of-house employees (including kitchen staff) rather than increasing their wages. 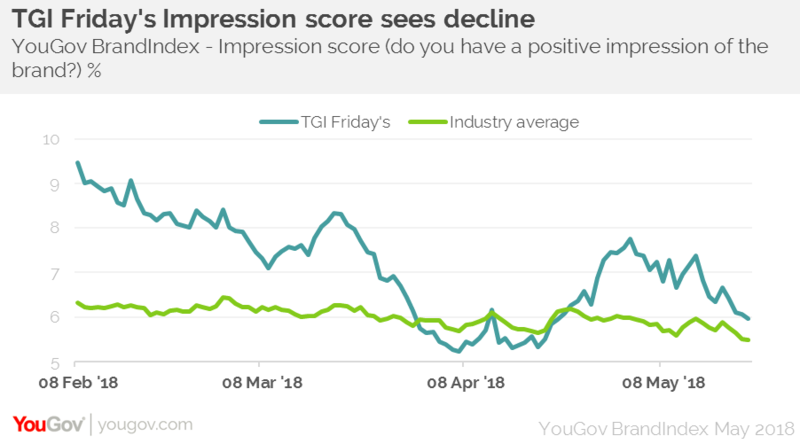 YouGov BrandIndex data shows that since the new system was introduced in February, the brand’s Impression score (whether someone has a positive impression of a brand) has taken a hit. It has dropped from +10 in mid-February to +5 in mid-April, and, after starting to recover (to +8), it took another knock (to +6) after the recent news. 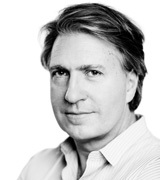 In terms of its Reputation score (whether someone would be proud to work for the brand), TGI Friday’s sits consistently slightly higher than the industry average of all restaurant brands YouGov tracks on a daily basis. However, it has slowly been decreasing since February, going from +4 back then to a score of zero now. Back in January I discussed a similar issue when other casual dining chains were hit with criticism over staff pay, after it was suggested that they had policies obliging waiting staff to pay for any mistakes that led to shortfalls in profit. YouGov Profiles data shows that policies like this aren’t viewed well by customers of TGI Friday’s. In fact, those who have ever been to one of the restaurants are more likely than the population as a whole (75% vs 71%) to say that they think employers should not be able to deduct money from service staff for these kind of reasons. Our Brand Boycotters report also suggests that poor treatment of staff is one of the top three reasons that people will leave a brand, and that seven in ten (67%) of those who had boycotted a brand had not used it since. With this in mind, while it’s crucial for TGI Friday’s to appease their staff in the coming weeks amid more planned strikes, it’s equally important for it to appeal to its customers in order to maintain its consumer perception.